Lemondrop and her litter of puppies were abandoned in a box in the middle of a park, and were subsequently taken to the local shelter. Luckily, Fresno Bully Rescue chose Lemon and her babies to pull out of the shelter when they visited the Selma Pound. I had been talking with the foster and adoption coordinator, Therese, about taking in another foster since our last one got adopted. I asked if there were any adults that she might think would be good in my home because, honestly, I was a little "puppied-out". A few days later, she told me FBR had an adult she thought needed some extra loving in a foster home. First Photos: Lemondrop playing with her shelter buddies at the Selma Animal Shelter. I went to meet her at Fresno Bully Rescue a couple days later to get a feel of her personality and see if she'd be a good fit for our home. My pups have gotten along with every dog that I have brought to the house, but it's always best to be on the safe side- especially when these fosters have already been through so much change. After spending time with her, I knew she would fit in perfectly with my little rescue family and I. We brought her home and let her meet the pack one by one, starting with Indy first and Angel last. 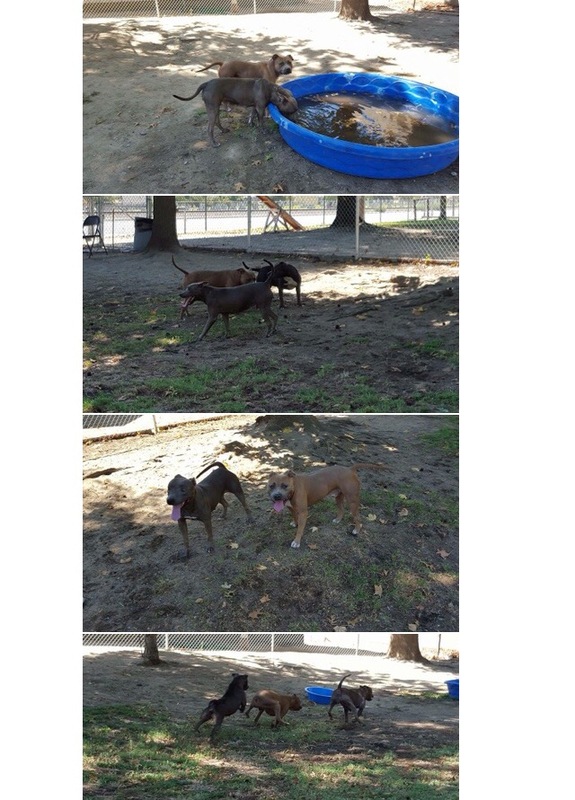 Watching Lemon and Angel's initial meet was a magical moment in my foster history that I'll never forget. They were mirroring each other's every move and were beside themselves with excitement. Watch the video of their first meet here. -She is potty trained and knows how to use a doggy door. -She is not an escape artist and has never tried to jump any fences. -She is socialized and generally gets along with other dogs. -She is very people-friendly and loves strangers. -She is wonderful on a leash. -She is definitely a mix of some sort. -She has never shown any signs of real aggression. All in all, Lemon has been a foster dog dream. I can only wish that all of my future adult fosters are like her. 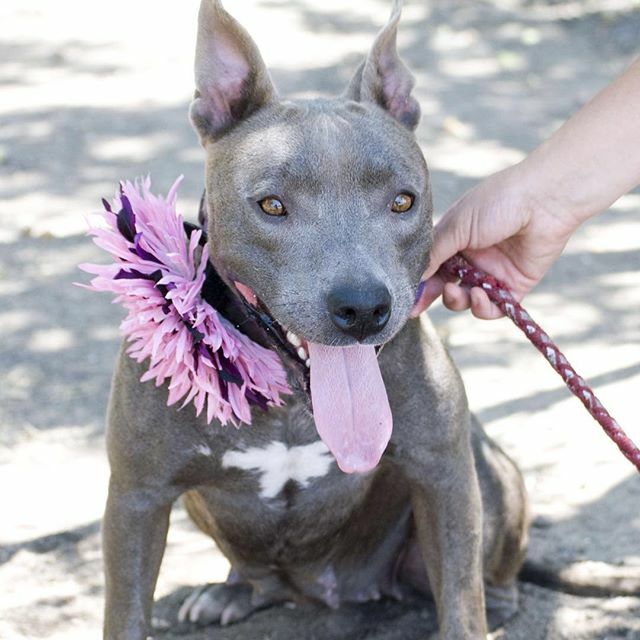 She is currently available for adoption with Fresno Bully Rescue and is READY for her forever home to find her! To view more pictures and videos of her, visit my Instagram by clicking here. Apply to adopt Lemondrop by clicking here. Lemondrop has been adopted and now lives happily with her mommy and 2 fur-sisters. You can continue to follow her adventures on Instagram by clicking here.